Eugenio Montale’s New Poems—a selection in English translation from Satura (1971) and Diaro del ‘71 e del ‘72, the 1975 Nobel Prize-winning author’s most recent collections—represents a new departure in this major poet’s work. After the death of his wife, Mosca, Montale wrote a series of poems, Xenia, inspired by his memory of her, which in terms of technique, style, and language are unique in Italian literature. In addition to Xenia and other poems evoked by the poet’s wife, this volume includes witty, ironical, and satirical pieces in which Montale displays his flair for linguistic innovation as well as his sharp critical intelligence. 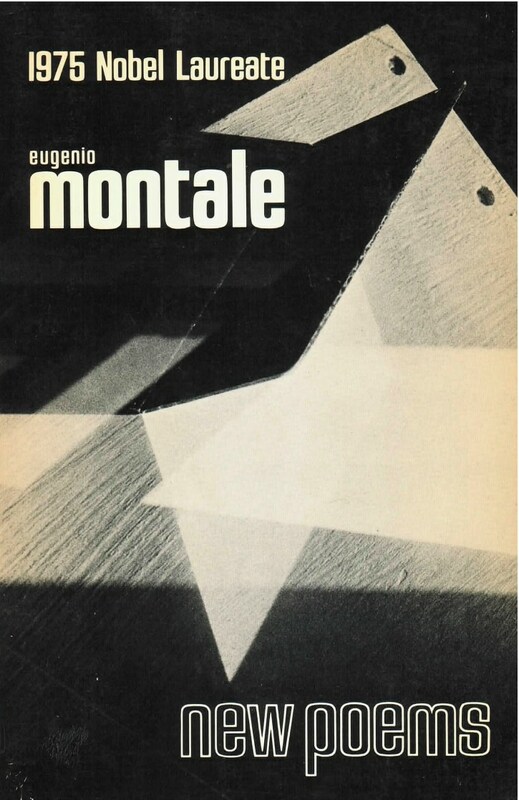 Through the extraordinary invention, formal as well as substantive, in his latest verse, Montale makes the Italian language perform in poetry in ways it has never done before, thereby demonstrating his right to be considered one of the great originators of twentieth-century poetry. The contents of New Poems were chosen in close collaboration with Montale himself. The translator, G. Singh of The Queen’s University of Belfast, aims at offering as literal a rendering as is compatible with the idiomatic naturalness in English and the rhythmic cadence any good verse translation must have.